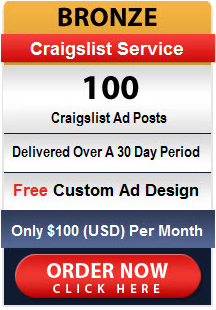 If you are looking to generate more leads through Craigslist and want to have a consistent stream of ads posted throughout the month, then look no further. Simply choose the best program for your company (Below) and proceed to the next page where you can choose the cities & categories you want to advertise in, upload your logo and content. 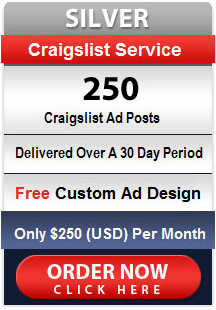 Leave the rest to us, we will design a great looking ad with good call to action and we will post the ads for you consistently throughout the month. For larger orders or custom orders, please contact us and a representative will follow up with you ASAP.